Nike offers-up a better look at some of the upcoming colorways to the Wildwood, just days after announcing the return of the ACG model. 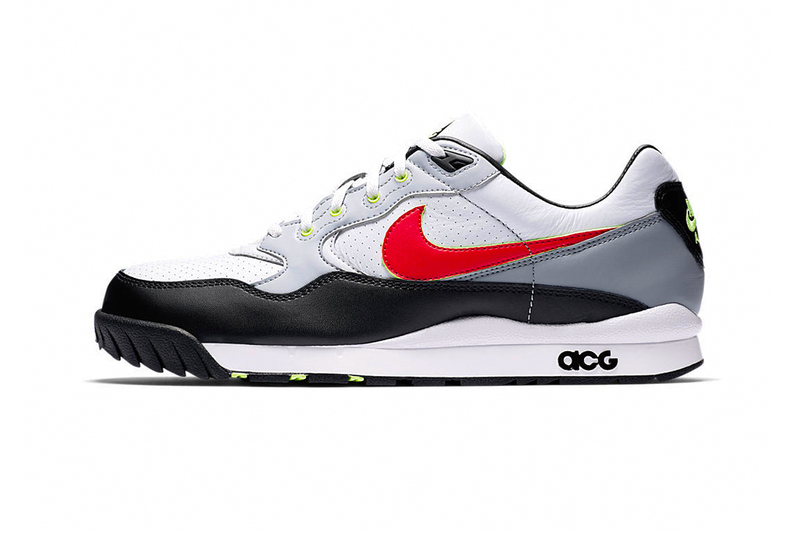 In true classic trainer fashion, the 2019 Nike ACG Wildwood maintains its premium paneled leather uppers and ’90s triangle vector logo/typeface. On top of offering an all-black colorway, Nike opted to include a few classic color schemes, but with the addition of neon highlights — giving the Wildwood a revitalized appearance, all the while staying in retro territory. Perfect for the streets, and more than capable for the occasional trail, the 2019 Nike ACG Wildwood will go on sale at nike.com, and select stockists this coming February 21. In other footwear news, multiple stripe branding appears on Vans’ VANSCII Sk8-Hi. A new venture for the impeccably accomplished artist. Inspired by one of the original computer languages. As well as a range of technical garments.